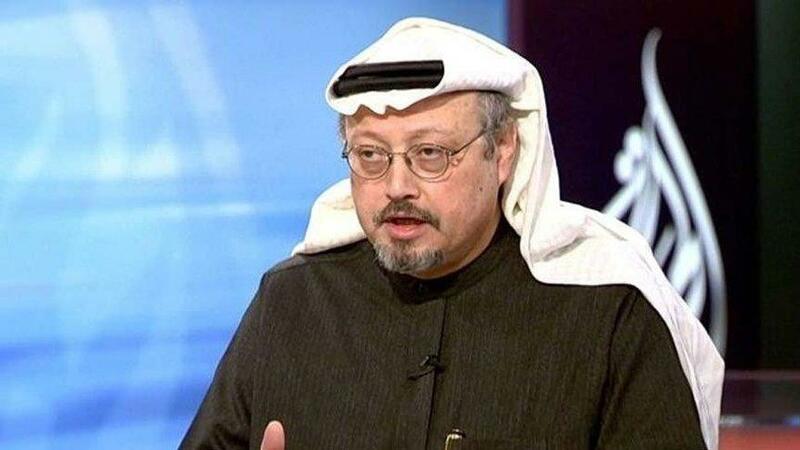 Saudi journalist Jamal Khashoggi died in a "fistfight" in the Saudi Consulate in Istanbul, the kingdom claimed early Oct. 20, finally admitting that the writer had been slain at its diplomatic post. Authorities said 18 Saudi suspects were in custody and intelligence officials had been fired. The kingdom also offered a far different version of events than those given by Turkish officials, who have said an "assassination squad" from the kingdom including an official from Prince Mohammed’s entourage and an "autopsy expert" flew in ahead of time and laid in wait for Khashoggi at the consulate. Beyond its statements attributed to anonymous officials, Saudi Arabia offered no evidence to support its claims. "God have mercy on you my love Jamal, and may you rest in Paradise," Khashoggi’s fiancee, Hatice Cengiz, tweeted following the Saudi announcements. In a statement Oct. 19 night, White House press secretary Sarah Huckabee Sanders said the U.S. will closely follow international investigations into Khashoggi’s death and will advocate for justice that is "timely, transparent and in accordance with all due process." The announcements came in a flurry of statements carried by the state-run Saudi Press Agency early Oct. 20 morning. On Twitter, where Qahtani had launched vitriolic attacks against those he saw as the kingdom’s enemies, he thanked the Saudi government for the "great opportunity they gave me to serve my country all those years"
Earlier this week, the Turkish pro-government newspaper Yeni Şafak, citing what it described as an audio recording of Khashoggi’s slaying, said a Saudi assassination squad seized the journalist after he entered the consulate, cutting off his fingers and later decapitating him. On Thursday, a leaked surveillance photo put Maher Abdulaziz Mutreb, a member of Prince Mohammed’s entourage on trips to the U.S., France and Spain this year, at the consulate just ahead of Khashoggi’s arrival. Turkish crime scene investigators this week searched the Saudi Consulate building in Istanbul and the nearby residence of the Saudi consul general, and came out carrying bags and boxes. On Oct. 19, investigators questioned staff and explored whether his remains could have been dumped outside Istanbul after his suspected killing, Turkish media and a security official said. It’s unclear whether the Saudi announcement will be enough to staunch the criticism the kingdom faces from lawmakers in the U.S., its most-crucial ally. California Rep. Adam Schiff, the ranking Democrat on the House intelligence committee, called Saudi Arabia’s claim that Khashoggi was "killed while brawling with a team of more than a dozen dispatched from Saudi Arabia is not credible." "All along we were concerned about a whitewash, or an investigation by the entity suspected of involvement itself," Amnesty’s Rawya Rageh said Oct. 20. "The impartiality of a Saudi investigation would remain in question."